The book’s chapters provide an almost definitive list of hot topics… The book offers some far-reaching and fundamental insights… Its breadth almost serves as a definition of the topics that mark the frontier of semiconductors for the next decade. This book is suitable both for the student or researcher that wants to understand where the challenges lie and for experienced managers, investors and policy makers, who may have been looking at the trees for so long that they will now benefit from this look at the forest. 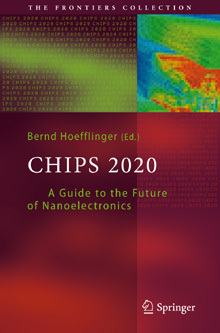 It was great pleasure to reconnect and to read "Chip 2020". I highly recommend this book as it provides an update view of the Semiconductor Industry by a group of known experts. Can Chips keep their Cool? Herausgeber und Hauptautor Bernd Hoefflinger...vermag, die Notwendigkeit der Suche neuer Strategien deutlich vor Augen zu führen.